Im going to spring on a new top and Ive seen mixed reviews when I searched. Ive got three choices. Any feed back? This is a new one on the block and got my attention. OK, this thread is over. You win. 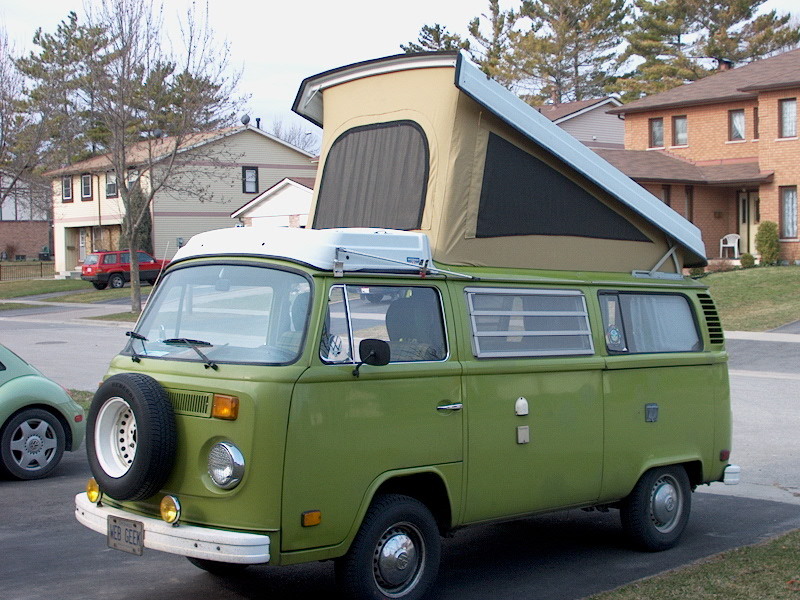 My vote would be for original german westfalia from the bus depot.It will fit the best.Not cheap but you get what you pay for.I would not buy anything someone has already installed.For an extra 200.00 you buy it once. Don't go with the bus depot canvas. Look in my gallery to see why. I'm not impressed with the fabrication and the mistakes in it. Couldn't see what was wrong until it was installed. To make it worse, I have contacted BD about the problem and never was responded to. I figured they would have stood behind their products a little better. Here is the image showing the obvious flaw in the manufacture. It looks nothing like the other photos and other canvases that I have seen. It is most likely the only one like this, but it was a gift from my wife and I am still not happy it looks this way and I don't have the funds to buy a another brand new canvas. 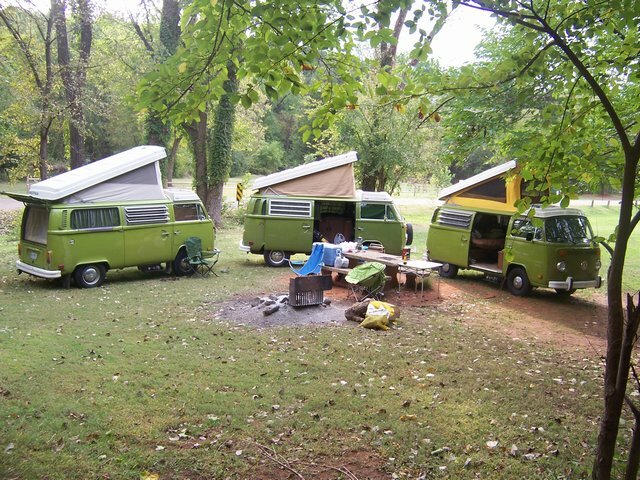 My bus is on the left and a go westy canvas is on the far right. Middle bus has the original canvas. Notice the window shape and the lack of symmetry. Still waiting on Bus Depot to help a loyal customer out so I can stop telling people not to buy canvases from them. hint hint. '76 Deluxe Sage Green Westy 2.0L Fuel Injected with '78 ECU and AFM, ACN SVDA Distributor, Hydraulic Lifters (boo hiss), 27in General Grabber AT2 All Terrains, Berg Shifter, stock '76 exhaust HPC Ceramic Coated. First VW engine I've ever built and it's still running strong. 80,000 plus miles and counting. Built in 2004. 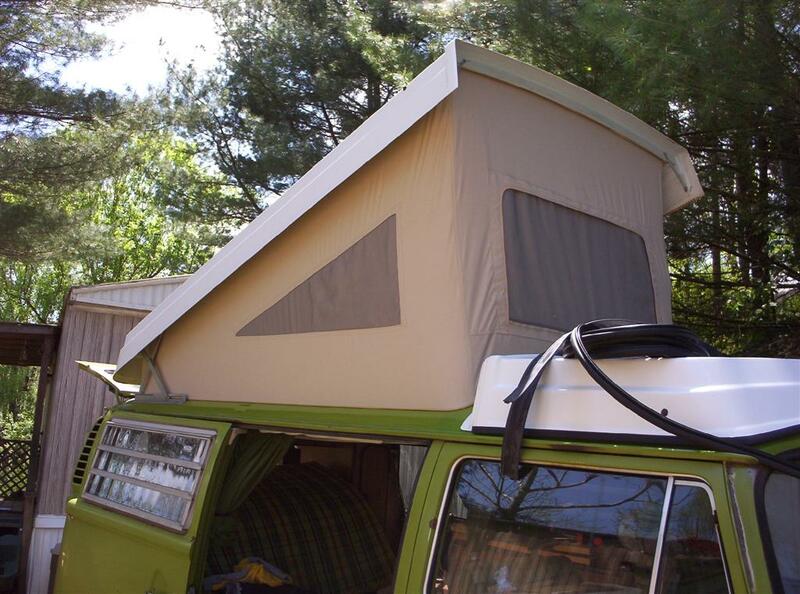 We are talking apples and oranges.Your canvas is the "Bus depot"import from who knows where.I am talking about the original westfalia canvas from germany with the windows,400.00. Despite what others have said, I had good experience with the budget canvas from Bus Depot when I installed it on my now-sold 77 Westfalia. It is of course important to mark the corners and be careful during the installation process for the finished product to look good. Here's the budget canvas from Bus Depot just after installation. There's ABSOLUTELY nothing wrong with this product. It's the Just Kampers canvas without the international shipping. And, except for getting those little screws in the corners , installation was a breeze. Peace! I now agree with you. I didn't realize that my wife bought the BD exclusive design canvas. It still doesn't look right to me, but oh well, live and learn and buy the best canvas available next time. I do have some small factort to consider. Its for a 68 and I do want the og yellow color. I plan on Velvet green paint, I love the color combo. So thats partialy why I posted the WW one and the BD. They seem to have nice looking-well built-propper colored ones. If they are made in Germany to a higher standard then all the better. Thanks for the input so far. Anything else? And another review from someone who has the same pot-top style (1970). 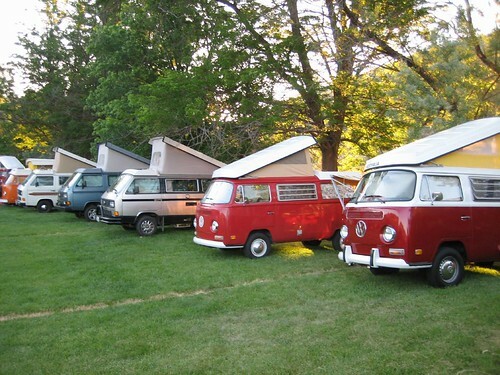 The one on the far right has the go westy repro, mine has the bus depot westfalia replacement. Difference in color, but on inspection, neither of us noticed a discernable difference to favor one over the other. Ron - care to chip in? Nice-thanks pjalau. Any more shots of it in action? I have been saving for this one. We are so most here in the middle of the country that even paint molds.. This is a Chinese made product that was offered to me about six months ago. The price was right, but I passed on it after comparing one side-by-side to my budget canvas. The Chinese material was much thinner. Frankly it did not meet my standards. Given its cheap wholesale cost, I'm sure it will turn up at other vendors as well (if it hasn't already worked its way into the pipeline). AFAIK the one Wolfsburg West sells is a U.S. made repro that is also sold by several other retailers. It is significantly better than the Chinese one. However it does not look very stock, being a rougher cotton texture with darker screens. Fit is pretty decent but tends to be a little tight. I am personally not a huge fan of it, but you could do much worse. Well, this private advertiser is saying this is our Genuine OEM German canvas, which would in fact make it different from the Wolfsburg West one. If so, he's selling it for $79 less than he paid us for it. Oddly, the picture in the ad does not look like the German canvas. Maybe it's just the lighting but the color and screens look different to me. Don't go with the bus depot canvas. I'm not impressed with the fabrication and the mistakes in it. Couldn't see what was wrong until it was installed. To make it worse, I have contacted BD about the problem and never was responded to. I have searched all of our Outlook files. We received no email from you about a canvas, nor can I find any record of selling you one. It's hard to tell from the picture - maybe it's the wrong canvas, maybe it's defective and was cut wrong, maybe it's installed wrong. Can you send me details by pm? Has anyone heard anything about the Hemp canvas? Good bad or ugly? Respect the Bus, many families were started there!!!!! When I get pulled over for speeding? So it sounds like I may be dropping 4 bills to get a yellow German one? You can dye the hemp ones easier.. They are whiter to begin with... thought about that too.. I got vw and Westfalia tie dye sheets from these guys, good quality, and they are pretty.